Welcome to Sleep Inn & Suites Fort Lauderdale, your Dania Beach hotel near Fort Lauderdale Airport, FL. 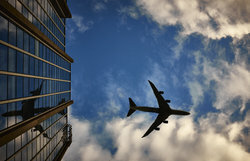 Fort Lauderdale International Airport offers nonstop flights to over 100 U.S. and international cities around the world and sees an average of 80,000 patrons passing through their gates each and every day. Make your stay in Florida a simple one by choosing our nearby hotel. Our hotel near Ft. Lauderdale Hollywood International Airport, Florida provides its guests with the very best. From second-to-none accommodations to state-of-the-art amenities, you are sure to find your Dania Beach oasis with us. As an added bonus, Sleep Inn & Suites Fort Lauderdale is pleased to offer you seamless, complimentary transportation to and from the airport with our daily shuttle service. 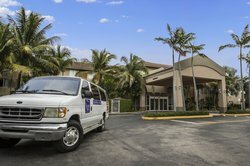 Our hotel near Fort Lauderdale Airport with free shuttle services provides a comfortable night’s sleep, free of transportation stress. Shuttles run from 5:00 AM until midnight every day, offering you around-the-clock, reliable passage. See below for more information on our shuttle service and the Fort Lauderdale-Hollywood International Airport. 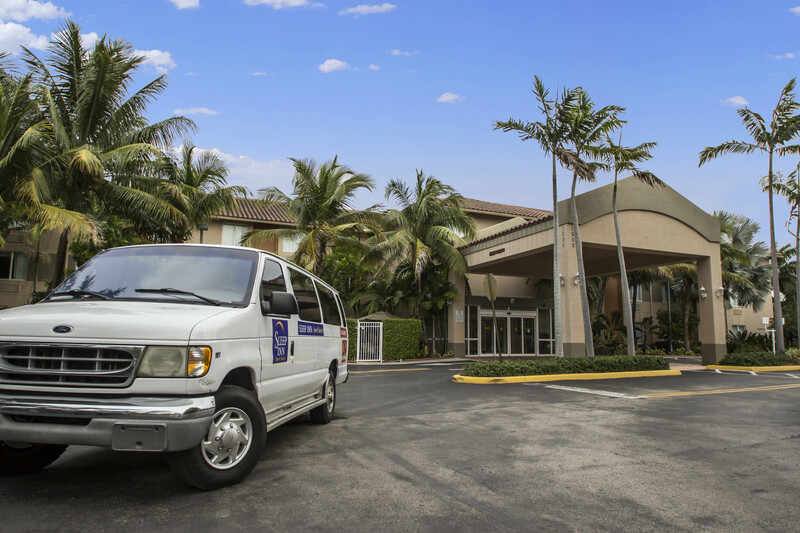 Book your stay at our hotel near Fort Lauderdale Airport with free shuttle service today. The Fort Lauderdale-Hollywood International Airport is located just 3.5 miles from the Sleep Inn & Suites Fort Lauderdale International Airport hotel. Our hotel in Dania Beach, Florida offers a complimentary shuttle service to and from the airport from 5:00 AM until midnight. Book your stay at our hotel near the Fort Lauderdale Airport today!